Lufthansa Boeing 727-200. Repaint of Tom Ruth's B727 in Lufthansa livery. Textures only, requires base model (TOM7271.ZIP). Repaint by Paul Craig. Lufthansa Boeing 727-200 in flight. 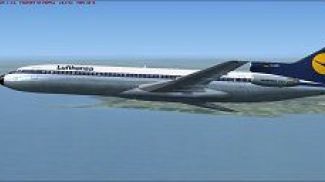 The archive lufthansa_boeing_727-200.zip has 22 files and directories contained within it.